On Friday I had been given some Essentia Water while visiting the Healthy Beverage Show (conveniently co-located with World Tea Expo). Before heading over to the Convention Center Saturday morning, I decided to test it out by making some tea. I thought it would be fun to compare it with spring water that I bought at the hotel’s cafe. 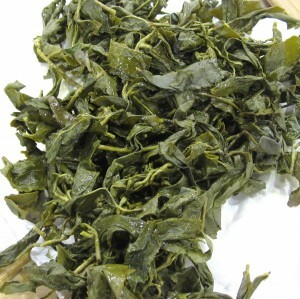 I used the exquisite looking leaves of Nepali Tea Traders Half Moon Pearl Green Tea. I heated Essentia Water to 75°C. and infused the leaves for 30 secs. in the gaiwan that I brought with me. The liquor was pale yellow. The taste was light, sweet, fresh with some chestnut notes. I repeated the process using the hotel’s bottled spring water and found less than pleasing results - the taste was astringent, slightly acidic but still green – definitely not as fresh. 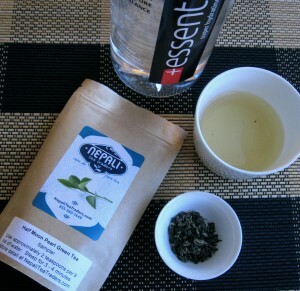 Conclusion: I would recommend Essentia Water for tea preparation, especially for Green and White tea. Perhaps it’s the right balance of alkaline and minerals or the better permeation. I’m no scientist, but I know what a good tea should taste like and Essentia allowed the delicate Himalayan Green leaf to infuse to its potential. Nepali Tea Traders Half Moon Pearl Green Tea made with Essentia Water. At the Convention Center – In anticipation of several hours of conference session and because one can never have enough premium tea, I visited Teas Etc.’s very generous tea lounge where I chose a Keemun Mao Feng. It was a familiar flavour (Keemun is my comfort tea) and a perfect start to the day. Out on the exhibit floor I continued to wander, weaving in and around the aisles. Items would catch my eye. 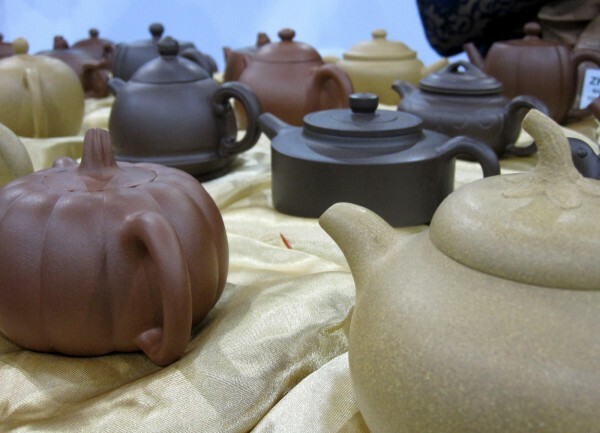 For the past few days I had noticed a plethora of Yixing teapots on display at many tea booths. Yixing is a town north of Shanghai known for its dark purple-coloured clay. 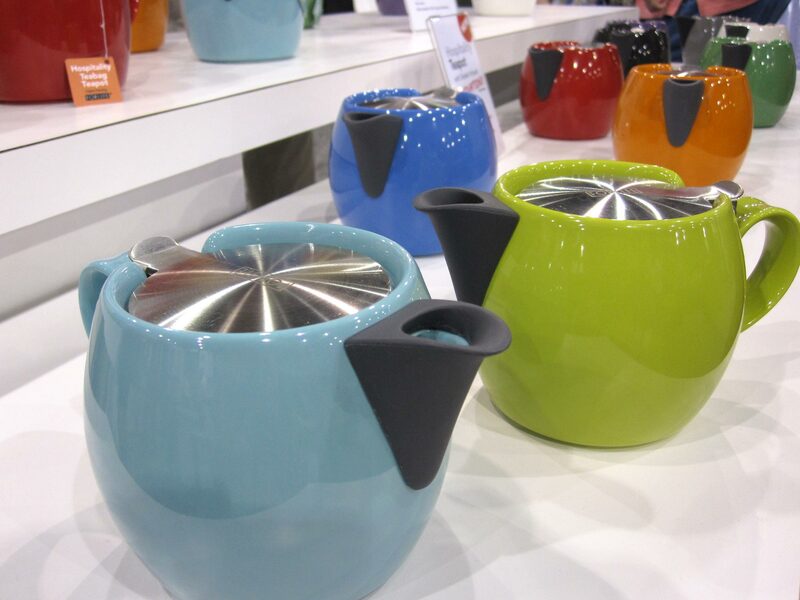 The eponymous pots are hand-built by masters and one of those artists is at the Expo. 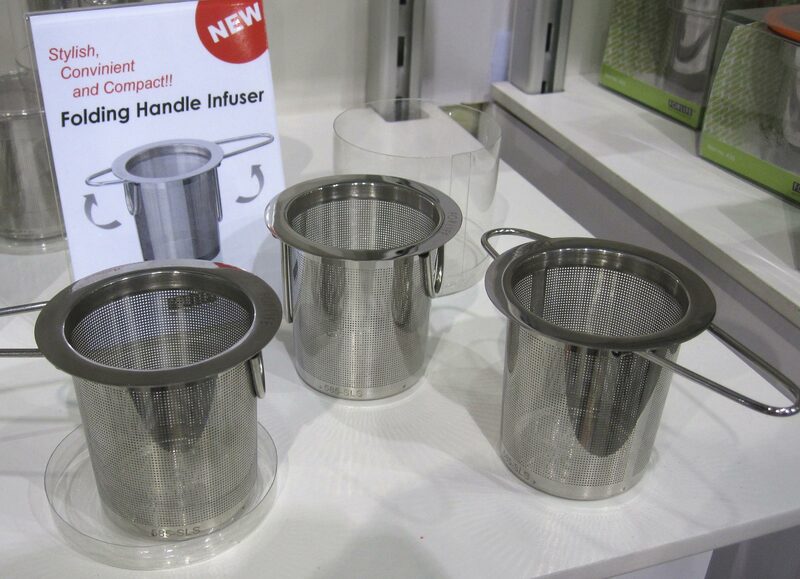 Booth 628, Chinese Yixing Tea Culture Co., was noticeably different from others in that they had dozens of Yixing pots and nothing else. 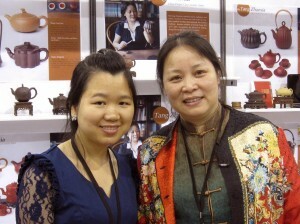 Tang Zhaoxia, a Yixing master, was in attendance at the booth and I had a short visit with her. 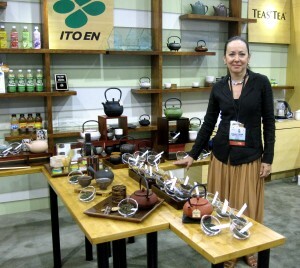 She will be demonstrating Yixing teapot building on Sunday afternoon at 2pm. 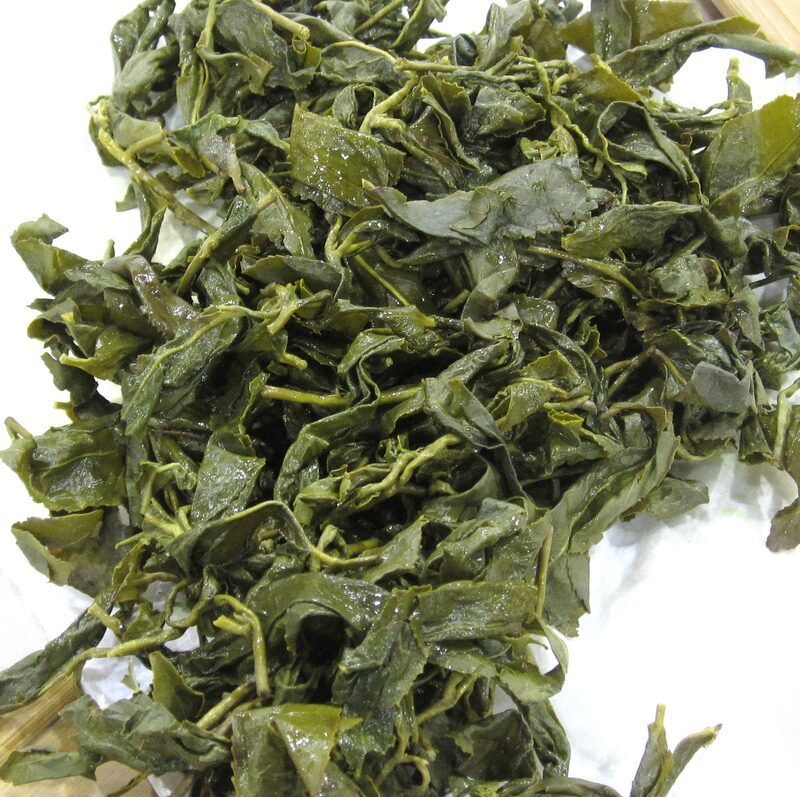 I will update as soon as Chinese Yixing Tea Culture Co. has launched their new English website. Yixing master Tang Zhaoxia and Zhina Zhou of Chinese Yixing Tea Culture Co.
Just out of the gate only two years and already Immaculate Leaf has won two North American Tea Championship awards – 1st place for Aged (1989) Oolong and 2nd place for AliShan Oolong. All their tea is from Taiwan and Jessica Yueh is the master tea practitioner in charge. Around 3pm I felt a strange sense of déja vu. Why did booth 214 look so familiar? 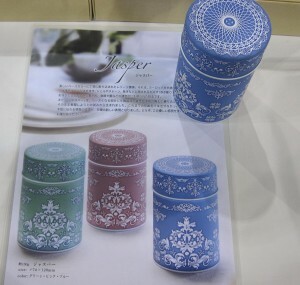 It held lovely Japanese cannisters in bright colours and prints. The representative looked familiar. 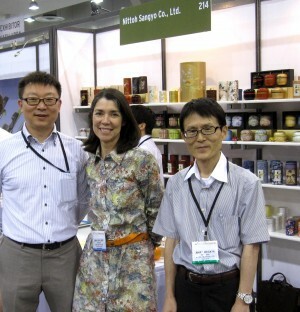 We both realized at the same time that we had met in August at the Hong Kong Tea Fair. (I still have to write about that…) I had posed with one of the Nittoh’s owners and now I was posing again with the other. What a treat to see them again and have a look at their new product. 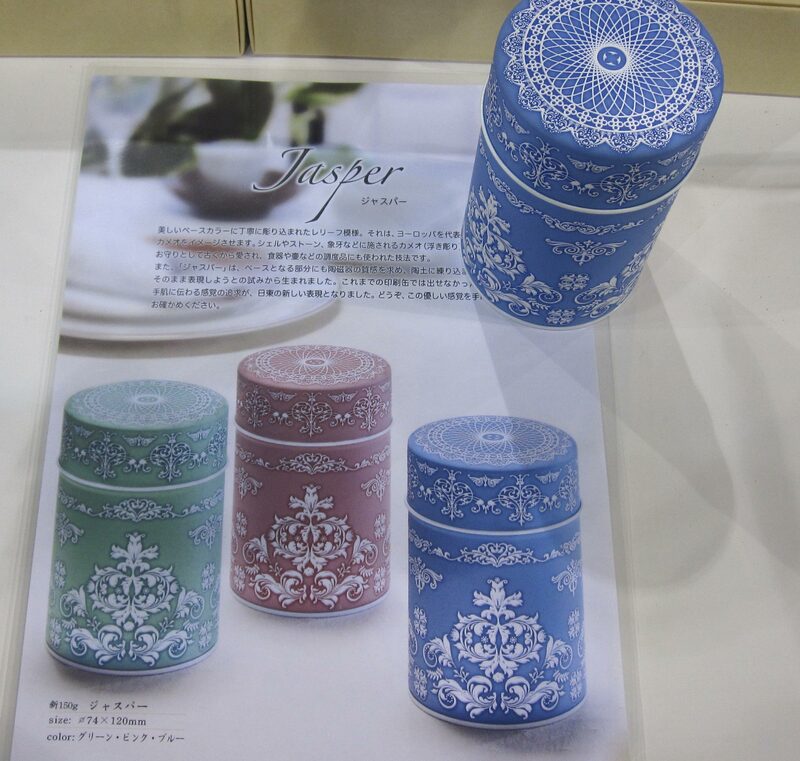 All my New York friends – don’t you just love the macaron caddies? Rona Tison is a charming ambassador for ITO EN, the large importer/wholesaler of quality Japanese tea and teaware. 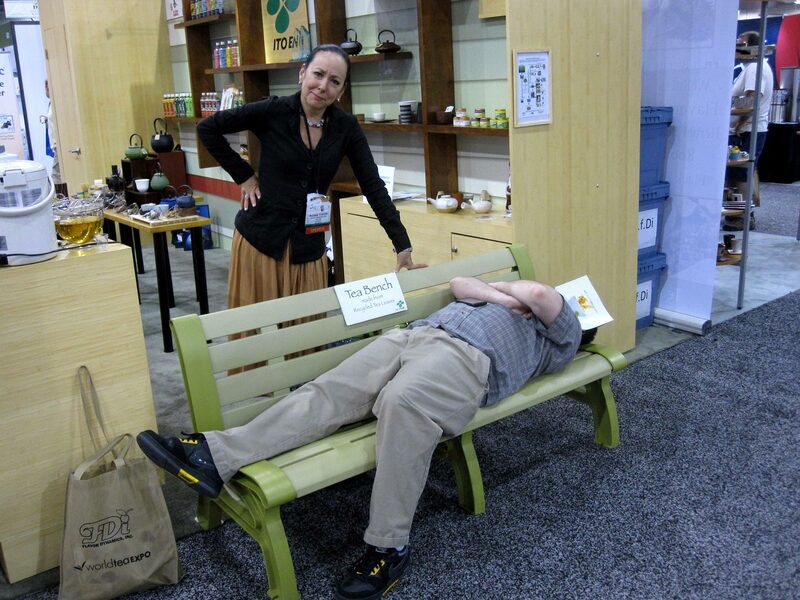 I discovered she is also a good sport, indulging the hijinks of Lazy Literatus as he tested out Ito En’s recycled tea leaf bench. 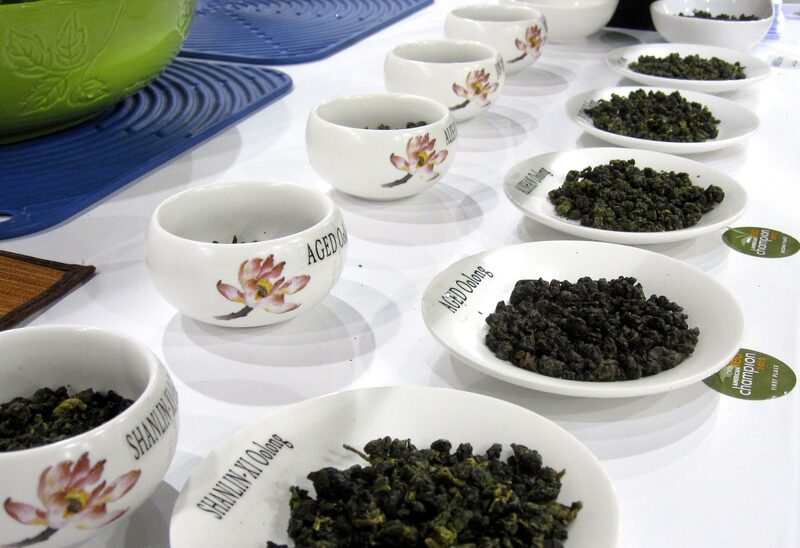 I’m hoping that this meeting was history in the making and that in the future, Tea Historians will mark this day, recounting tales of an era when many people didn’t know what Oolong was. Jason McDonald isn’t fantasizing. He’s just invested in 60,000 plants and intends to plant them in Mississippi. 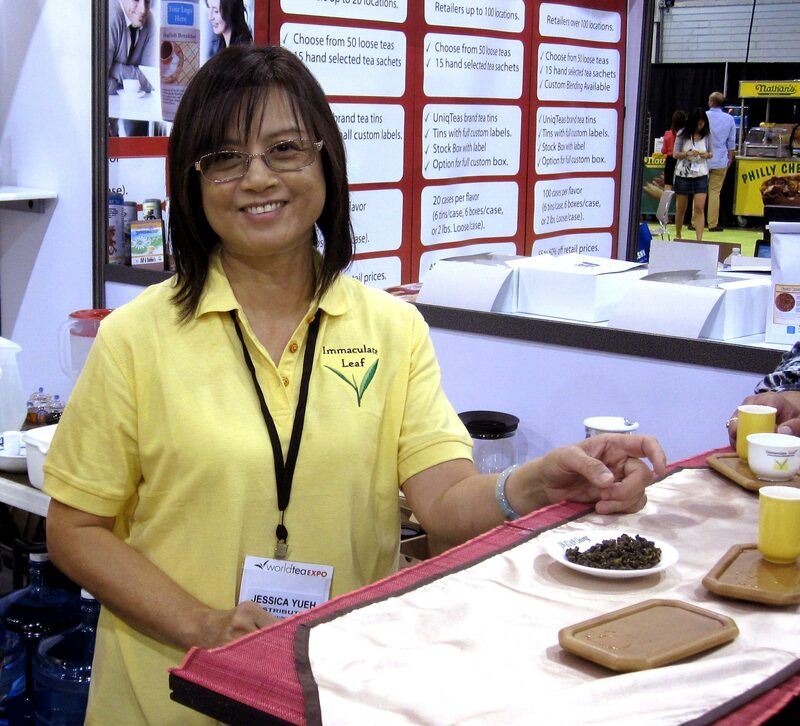 Nigel Melican is a 32 year veteran of the tea industry and technical consultant with his company Tea Craft. 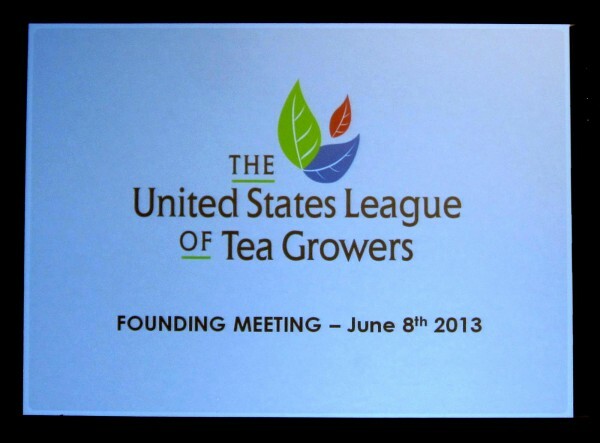 He took the audience through the history of tea in the USA and made a case for why Camellia Sinensis Sinensis is an economically and agriculturally viable crop to expand into regions of the U.S.where it is not currently growing. 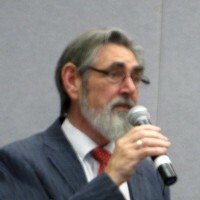 He concluded with the message “this is an idea whose time has come”. 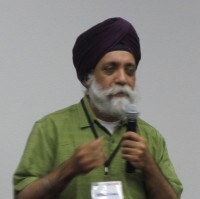 Veerinder Chawla of Tao of Tea suggested that tea lovers across America could grow a few tea plants in their garden and share the harvest. 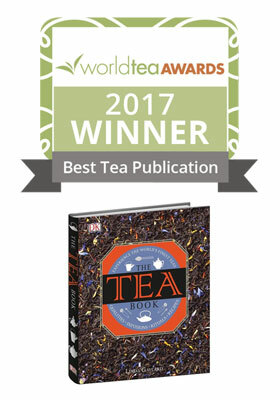 While not a grand scale commercial venture it would provide consumer awareness that tea can be grown in some regions of North America. As I sat enviously listening, I felt profoundly inhibited by the border that separates our 2 countries. I would love to have 4 or 5 tea plants.There are no flourishing tea farms in Canada that I’m aware of. There are some experiments, but I’m not sure what stage they are at. The league needs a board and a constitution and this will come in time. The consensus was that an organization to benefit the common good is a smart thing. 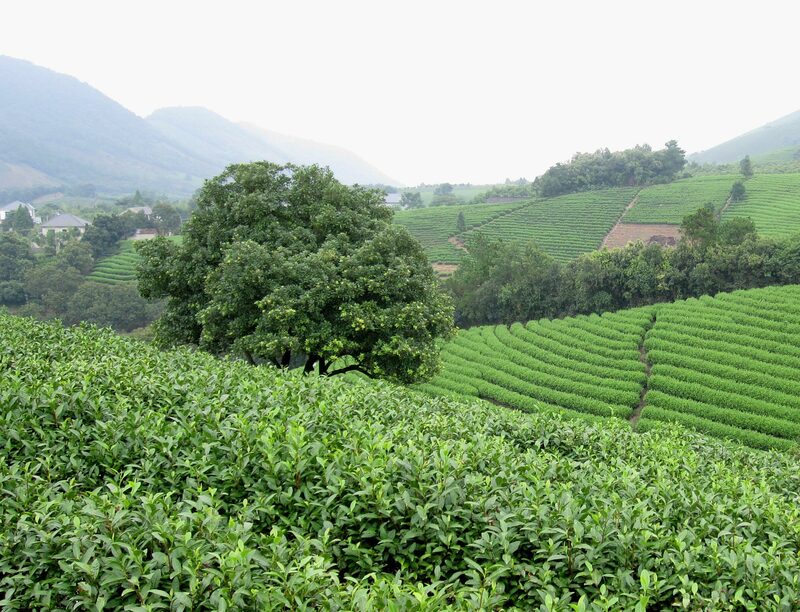 Nigel and others see an opportunity for innovation in the production of Tea and research into a varietal that could grow in a range of Terroirs. Ah Terroir – isn’t this how I started my day. Seems like a good place to stop. I’ll be writing about Day 3, Sunday June 9 on Tuesday June 11. Thank you for being such a good sport on Day 2! I thought your idea was brilliant – one of the highlights of my day. Rona had fun too! I have one more post to go for Day 3 -. work in progress. I enjoyed meeting you too Elyse! Did you see the photo at the reception where the Tea Fairy is peeking out from behind us? Copyright © 2019 The Tea Stylist. All Rights Reserved.